You are correct that the seafloor is destroyed at subduction zones, but it is simultaneously being created at mid-ocean ridges. 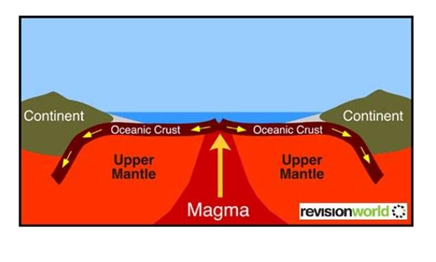 Figure 1: Seafloor spreading at a mid-ocean ridge(where new crust is being created) and it’s destruction at a subduction zone. Figure 3: The portion of the Mid-Atlantic Ridge that cuts through Iceland. 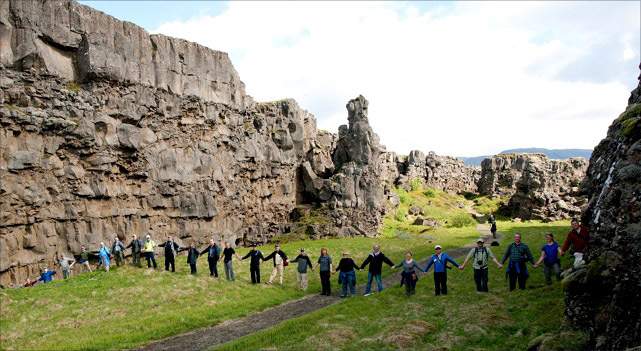 Figure 4: The land trace of the Mid-Atlantic ridge in Iceland in which the people linking hands span between the two edges of the ridge. 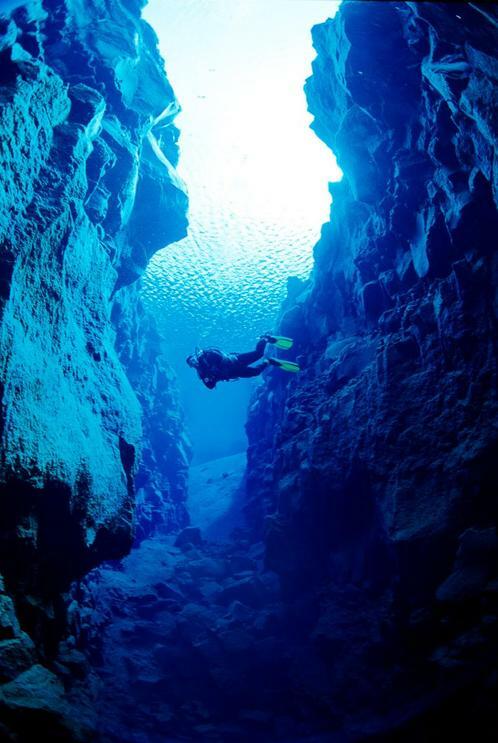 Figure 5: A diver swimming between the a portion of the ridge submerged in Iceland. Great question! You're correct that at subduction zones like the Ring of Fire, the oceanic crust gets subducted underneath of continents, or sometimes even other pieces of oceanic crust. But the other half of the equation is that oceanic crust is also continuously remade along Mid-Ocean Ridges, which are underwater volcanoes. These are the longest chains of volcanoes on Earth that continuously make new seafloor. This process of new oceanic crust creation and movement away from the Mid-Ocean Ridge is called "seafloor spreading". If you go to Google Earth, you can see these ridges really clearly in the middle of the different ocean basins. One of the most famous ridges is called the Mid-Atlantic Ridge and it runs north to south along the middle of the Atlantic Ocean. So new oceanic crust is made in the "middle" of oceans along Mid Ocean Ridges, and it's destroyed where oceanic crust meets another tectonic boundary and subducts. That is great that you are wondering about the big picture! Some plate boundaries, like at subduction zones, are absorbing sea floors, but at other plate boundaries sea floor is being created . The biggest example where new sea floor is being created is right in the middle of the Atlantic Ocean. This is called the Mid-Atlantic rift. Two plates are moving apart (diverging), and new magma is coming up to fill the newly created space. This creates new seafloor. This big system where the Atlantic is creating more crust while the pacific is absorbing crustis often compared to a big conveyor belt. New crust is constantly being made at the East Pacific Rise, which is a rift off the coasts of Central and South America. There is another rift that creates new crust that circles Antarctica. The reason why the seafloor doesn't disappear is because new seafloor is continually being made at these rifts to replace the old seafloor that gets subducted. That said, the Pacific Ocean is becoming smaller as the rate at which seafloor is being subducted along the Pacific Ring of Fire is faster than the rate at which these rifts are producing it. At the same time, the Atlantic Ocean is getting larger because the Mid-Atlantic Ridge, which is yet another rift, is making crust but there is no Atlantic counterpart to the Pacific Ring of Fire to subduct it. The continental plates covering the earth bump against each other. One plate gets pushed up and makes mountains. The plate next to it gets pushed under - it subducts. Volcanos in the ring of fire are pushed up parts of plates. Great question! The seafloor certainly does disappear at subduction zones along the Ring of Fire. Here, the seafloor (and all the oceanic crust beneath it) plunges down under the continents into Earth’s mantle, to be recycled. Here is the thing: for all the seafloor and oceanic crust that disappears during subduction into the mantle, an equal amount of new seafloor and oceanic crust is made somewhere else to replace it. The new seafloor is made far away from the Ring of Fire, in the middle of the Pacific Ocean. This is because the sinking of the seafloor into the mantle that happens at the edges of the Pacific Ocean essentially pulls the seafloor apart in the middle of the ocean. Where the seafloor is pulled apart, a gap or rift is created, and this rift is immediately filled in by melted mantle which wells up below the rift. The melted mantle, or lava, erupts along the rift and freezes solid when it comes into contact with seawater. This frozen lava becomes the new seafloor. Since new seafloor stays hot for a long time, it is more buoyant (floats higher) than the older seafloor, forming a high ridge that looks like an underwater mountain chain. We call this ridge where new seafloor is created a ‘mid-ocean ridge’. 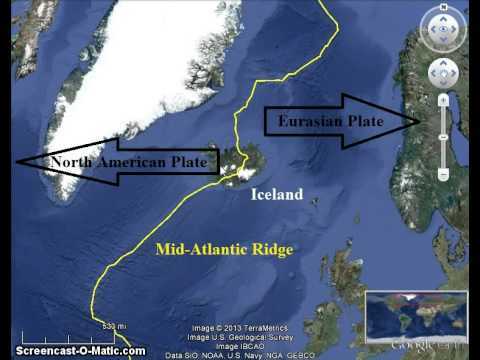 The same process happens in the middle of the Atlantic ocean, where the ridge is called the ‘mid-Atlantic ridge’. So you can think of the seafloor as a giant escalator that is moving downstairs. The mid-ocean ridge where new seafloor is created is the top of the escalator, and the subduction zones where old seafloor disappears is the bottom of the escalator. Even though it is always moving, the length of the escalator stays the same. Just like the size of the Pacific Ocean can stay the same, even though some seafloor is disappearing, and new seafloor is being created. When the seafloor subducts it does disappear from the surface. It moves deeper into the Earth, into the mantle. But in the Pacific ocean there are also ridges, called spreading centers, where new seafloor is created. In the southern Pacific ocean in the Ring of Fire there are some spreading ridges. So even though old seafloor is subducted there is always some new seafloor to take its place! It is difficult to subduct a ridge though. There used to be another plate with old seafloor which subducted beneath North America until its ridge met the North American plate. Instead of subducting, the plate on the other side started to move north in approximately the same direction as the coast. And that sideways movement is actually what helped form the San Andreas Fault.